Some people may wonder what are the benefits of health insurance in Malaysia, considering that they don’t get sick that often in the first place. But for those people who are not as healthy as those out there, getting sick is quite a common thing and it can also be really costly because healthcare these days are just ridiculously expensive and if you can’t afford to pay it, you are on your own with no assistance. So in order to avoid that from happening, then you need to understand the benefits of having health insurance. Health insurance is the same as medical insurance and medical card, for those who are wondering, this is so that you don’t get confused. 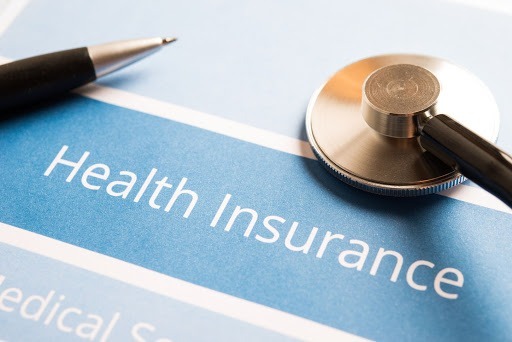 So without any further delay, here are the top benefits of health insurance in Malaysia that you need to know to encourage you to take action today in getting health insurance. One of the first things people need to know about the benefits of health insurance in Malaysia is the fact that you do not need to pay for your hospitalization. Breaking your leg will not cost you a whole lot anymore, isn’t that great? But don’t go around trying to break your leg for fun, because it will hurt a whole lot. The most important benefit of having health insurance is that it allows you to get the best medical treatment for your health problems and injuries with almost paying nothing out of your pockets. 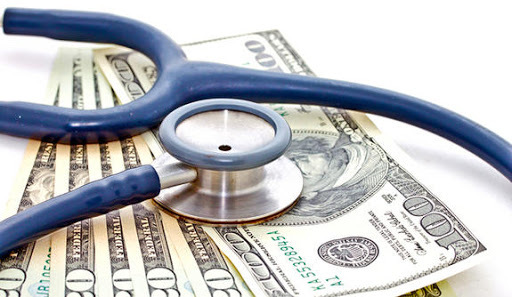 Certain health insurance plans offer a daily amount for each day of hospitalization. You do not need to worry about keeping records of the amount actually spent to claim this daily cash. The daily amount of cash does not depend upon the amount actually spent. 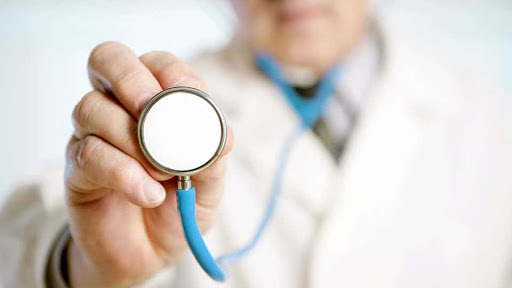 You can even opt for Convalescence benefit in your health insurance policy. Such a cover pays you a lump sum amount it hospitalization exceeds a certain number of days. 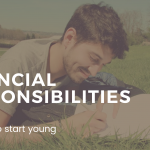 One of the other main benefits of health insurance in Malaysia is that if it has adequate sum assured, it can help you meet unplanned healthcare expenses so that you don’t need to drain money out of your bank accounts. Many people will not be able to afford the high prices of healthcare, but should they be disregarded? I positively don’t think so, everyone should be able to receive the proper healthcare they need. One of the benefits of health insurance in Malaysia is cover for life threatening critical illnesses. 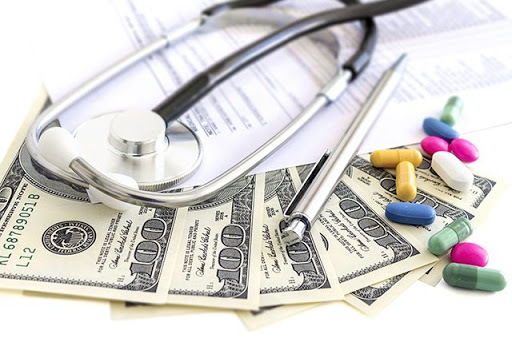 There are many life threatening critical illnesses that we can get infected and affected with, but the fixed predefined benefit type of medical insurance policies provides a fixed lump sum payment upon diagnosis and confirmation of certain critical illnesses like cancer, stroke, paralysis, kidney failure, etc. The insured will receive the lump sum of money which then can be used to fund the rehabilitation, recuperation, lifestyle adjustments. Getting allied benefits is one of the benefits of health insurance in Malaysia! Certain types of progressive insurance companies offer benefits that are normally not associated with health insurance policies, this can come in incredibly handy for those who need and want it. These benefits are consultation with nutritionists, free health check-ups, tie-ups with health service providers, free consultation with doctors, discount coupons on healthcare services. As you can see, there is a whole lot of benefits of health insurance in Malaysia in the first place, so what you need to do if you don’t have any health insurance now is to take action in looking for the right and best insurance plan for yourself and your family. 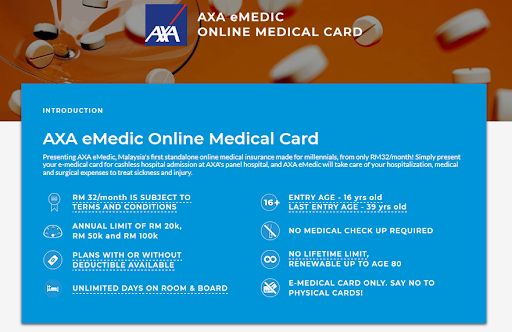 AXA eMedic is offering medical card starting from the price of RM 32/month, visit PolicyStreet.com to find out more about this product. Click here to read more articles like this!